In Swaziland, there is a lack of investigative journalism. The presence of sub-standard journalism is due to various repercussions over the years. When King Mswati III came into power in 1986, the issue of censorship and self-censorship had been prevalent among Swazi journalists. It is important to note, however, that the government is not outrightly demanding censorship. Most journalists self-censor themselves out of fear of being shut down, arrested, or harmed because of what they publish. We only know of some censorship because it has been made public one way or another. However, most of the censorship that takes places remains hidden. Through the years, when journalists have been questioned about the lack of investigative reporting, the journalists have defended themselves, claiming there is censorship in the newsroom. The main causes of Swazi censorship are the monarch, strong hand of the king, and poor state of Swaziland's economy. (4) The best way to look at Swaziland's censorship history is through a few key examples of where the government instated repercussions on journalists for publishing material against the king. The Swaziland Broadcasting Company has a monopoly over the television markets in Swaziland. Parliament put the SBC as accountable for all media, therefore, the government runs the monopoly over television broadcast. There are two stations and both are under the control of SBC and the government. There are only two radio stations in all of Swaziland. Both stations are subject to government control. In June 2013 parliament passed two bills that will form a community broadcast control. The Swaziland Communications Commission Bill and the Electronic Communications Bill, which will create of a community radio sector. Swaziland Broadcasting and Information Services - There is one English channel, one Swazi channel, and one informational channel. The station is run by the state. The main goal is to educate, inform, and entertain the people of Swaziland. Voice of the Church - This station is the only private run radio station. It is owned and operated by the church. It is the national christian radio station in Swaziland. In March, children complained about the conditions of their schools. As a result, police came in with batons and assaulted the children. They detailed about 100 of them in the Mbabne classrooms. However, this story was not what was published in newspapers. Local media, instead, reported that 100 children had been detained for a very different reason: the children had led a "wildclass boycott." Thulani R Maseko, a human rights lawyer, was arrested in late March. 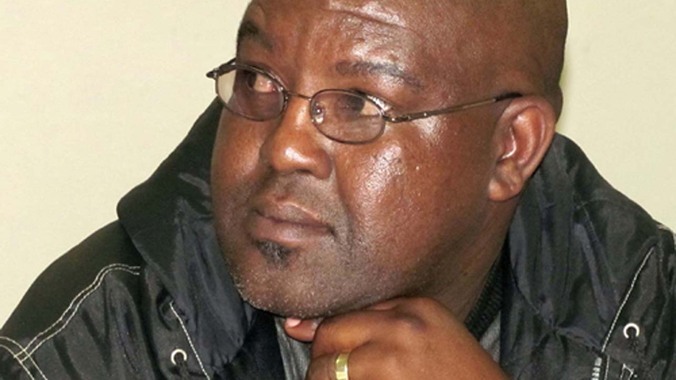 Bheki Makhubu, the Nation’s managing editor, was wanted by police. Once the two were detained, they were brought to a closed court. In Swaziland, that means no one knows what happened inside the court. They remained in prison for a week. There are photographs of Makhubu going to court in leg irons. The irons violate Section 18 of the Swaziland Constitution, which says you cannot subject someone to inhuman treatment. King Mswati III is claiming that he did not order the arrest of these two men. He also stated that he believes that the arrest these two men will promote human rights in Swaziland. Hlophe explains in the article that in Swaziland, the journalists believe that sometimes it is better to keep quiet and let certain branches of government make decisions. In reality, however, the government continually acts above the law with no consequences. Human rights leaders are seeing the arrest and trial of Maseko and Makhubu as a chance to put the Swaziland government on the stand. The International Labour Organization and US have already cut off Swazi because no human rights. Recommendations: How to Prevent Censorship in the Future? In the future, it is also important that the Constitution is upheld. If journalists are not afraid of repercussions, they will be free to write the facts. Censorship does not need to be done away with entirely, but the journalists should not live in fear of attack by the government. The King is known to act above the law, and it is a citizen's right to be able to know what happens behind closed doors. The issue of the existence of censorship needs to be known, and from there made continually public until journalists are forced to report the truth.